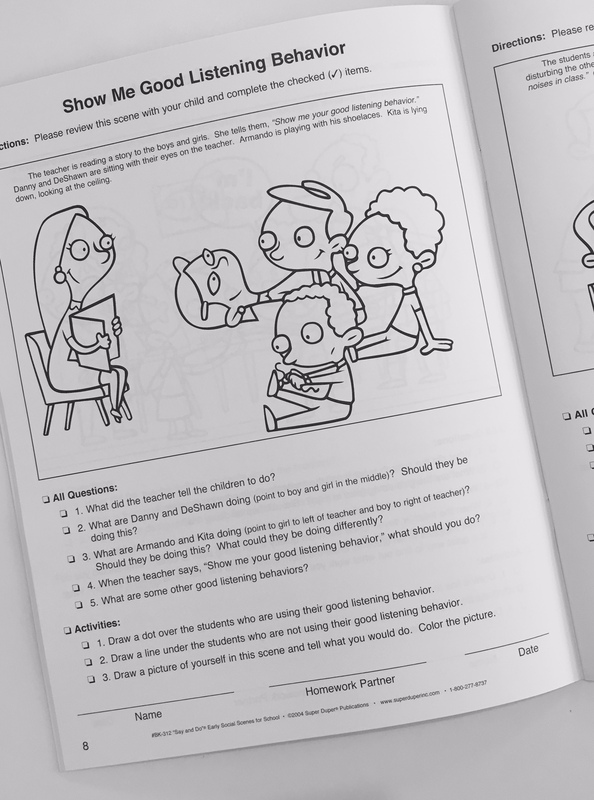 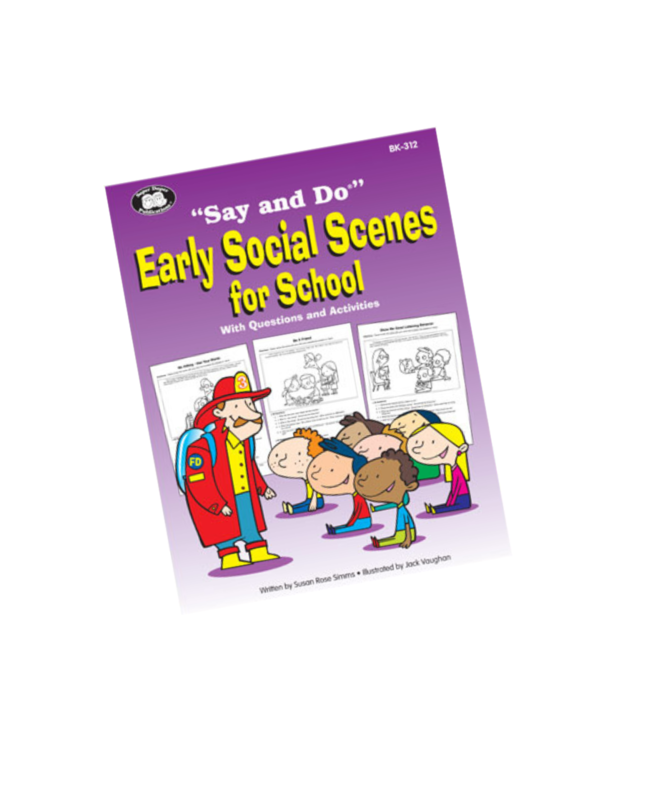 Say and Do Early Social Scenes for School is a handy resource that contains reproducible social scenarios to help children understand and learn how to respond appropriately in the school environment. Each social scene has a short caption describing typical school situations. 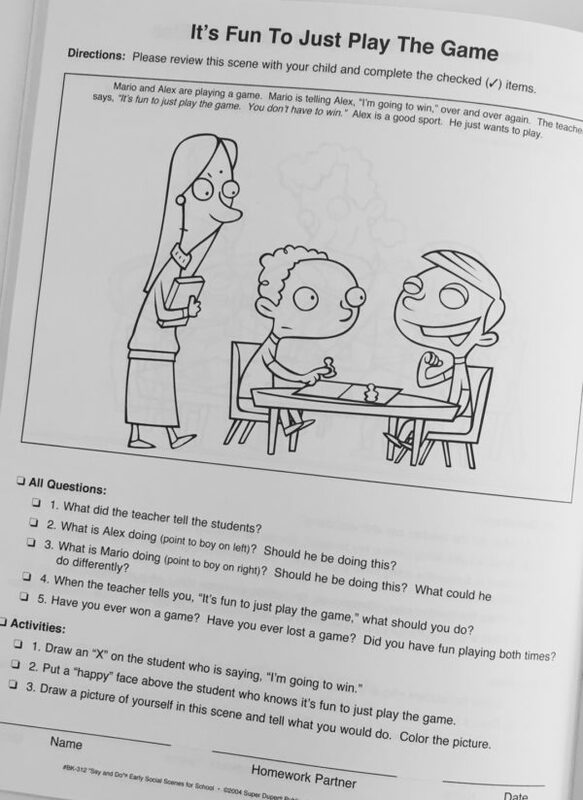 Five follow-up questions and three extension activities then give students opportunities to discuss and understand behavioural expectations at school. 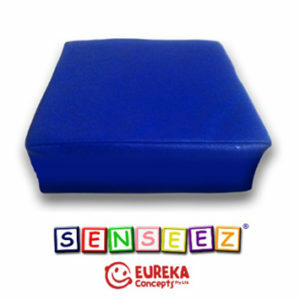 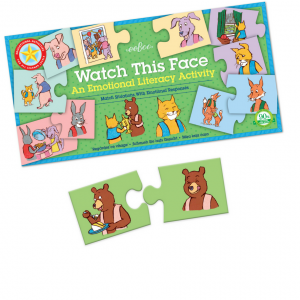 This book is a useful tool for teachers and health professionals!